The Frederick Law Olmsted Society of Riverside in an Agreement with the Riverside Public Library has established a memorial to Frederick Law Olmsted, America’s greatest landscape architect and the designer of the Village of Riverside. 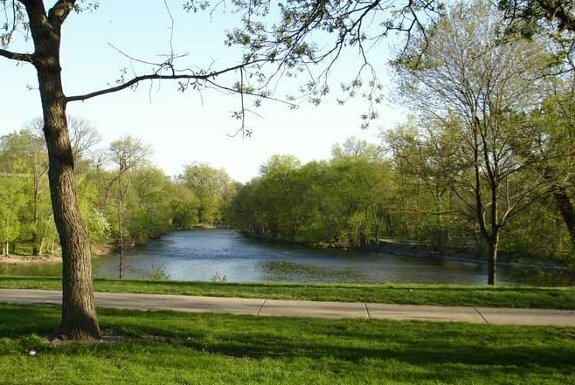 Riverside, certified as a National Historic Landscape District and designated a National Historic Landmark in 1970, is known internationally as the first example of a planned residential community. The memorial, a permanent collection of books and materials relevant to Olmsted and his works, was donated by the Frederick Law Olmsted Society to the Riverside Public Library. The Olmsted collection, which is open to the public, includes the prominent display of a color portrait of Frederick Law Olmsted. The collection has books on F.L. Olmsted himself, his associates, his writings, works and biography, landscape architecture and its history, famous landscapes and parks, as well as the people who influenced American landscape design. Also included is Riverside history, development and architecture as it relates to the landscaping, planning and design of Riverside and communities like it. Even the names of Riverside’s streets are subjects for the collection since many were named for people who influenced Olmsted and his landscaping philosophy. 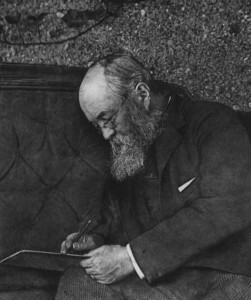 Reproduced on microfilm and available for reading and viewing is the complete collection of Olmsted’s letters and writings. The Olmsted collection is located in the southwest corner of the main floor of the Riverside Public Library and has its own special study area. There is a microfilm viewer available. Library staff are nearby to assist you, as there are first edition books and other valuable titles available for reference only. Most materials are available for circulation with a local or Suburban Library System library card. The Olmsted area is open during regular library hours. The complete listing of the Riverside Public Library Olmsted Collection is available for download as an Excel spreadsheet or Adobe PDF.